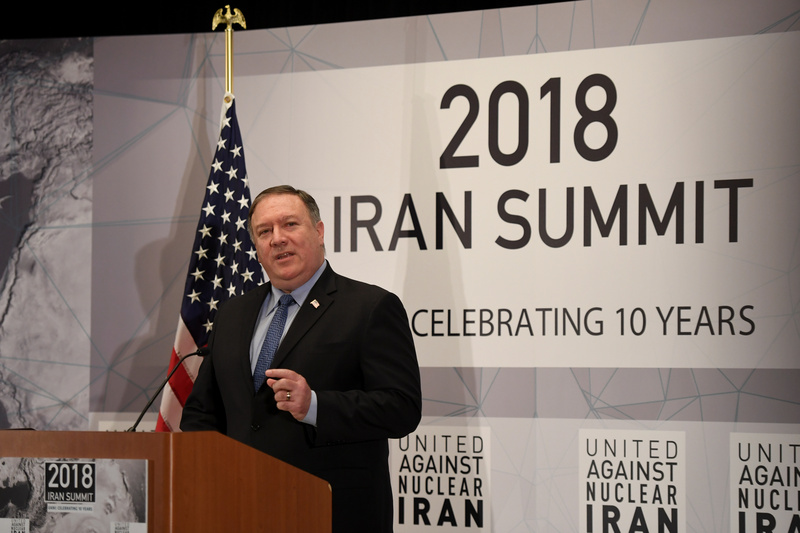 U.S. Secretary of State Mike Pompeo speaks during the United Against Nuclear Iran Summit on the sidelines of the United Nations General Assembly in New York City, U.S. September 25, 2018. U.S. Secretary of State Mike Pompeo said on Nov. 2 that eight jurisdictions will be temporarily exempt from the re-imposition of sanctions on Iranian oil and gas transactions, which are scheduled to go into effect on Nov. 5. Pompeo did not give details on the eight areas but Bloomberg reported they include China, India, South Korea and Japan. Pompeo said two of the jurisdictions plan to go down to zero Iranian imports but need additional weeks to get down to that level, while the other six will “greatly reduce” their imports during the 180-day review period. More than 700 entities will be added to the sanctions list on Nov. 5, when restrictions on transactions with Iranian financial institutions will also be in effect, Treasury Secretary Steven Mnuchin said. As of 1551 GMT on Nov. 2, Brent crude was trading at $72.92 a barrel.